Memorial Day is only 10 days away! This year, that fact tells me that in only 3 short days, movers will come to pack up all of our earthly belongings for our big move back to Germany! How did that happen so quickly??! I’m honestly not really ready (emotionally or physically), but thankfully, the movers do almost everything. We’re spending this Memorial Day at the house of some friends who are generously letting us stay there while they’re on vacation, and we won’t get to our house in Germany until it’s almost the 4th of July! This means pretty much living out of our suitcases for several weeks. There will be little space for toys in particular, so busy bags and printables are the order of the day. E still enjoys doing my regular letter mazes, but she’s really beyond them. While thinking about ways to extend the activity for her to keep her busy while we’re in the process of moving, I thought of a way to incorporate handwriting practice letter maze style. 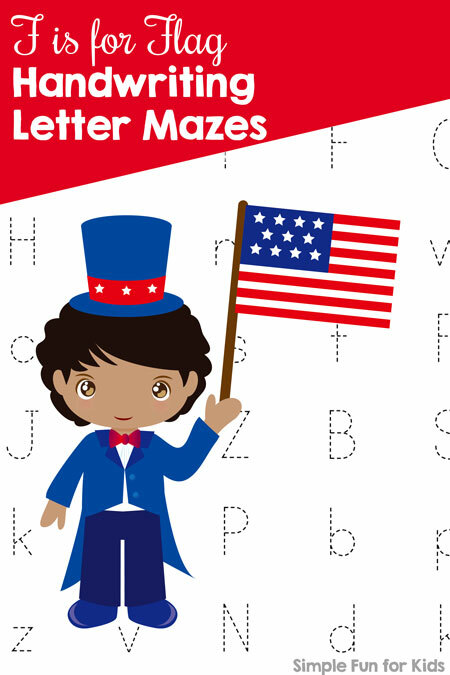 Here’s the first example: F is for Flag Handwriting Letter Mazes, perfect for Memorial Day, other patriotic holidays, or just for fun. Let me know what you think about this new type of printable! It definitely works great if you print it at half size (two pages to one sheet of paper), laminate, and pop it in a busy bag with a dry erase marker! Pen, marker or dry erase marker. 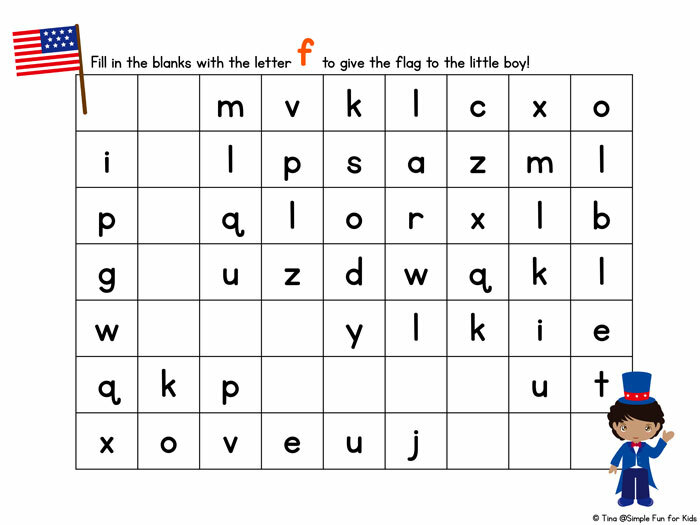 This printable includes two different handwriting practice activities: First is a maze for tracing the letter f in an uppercase, lowercase, and mixed case variation. The other version has blanks to be filled in with the letter f and includes three variations as well. All you need to do after you download the file is print the page(s) you need and provide something to write. Easy peasy and no-prep! 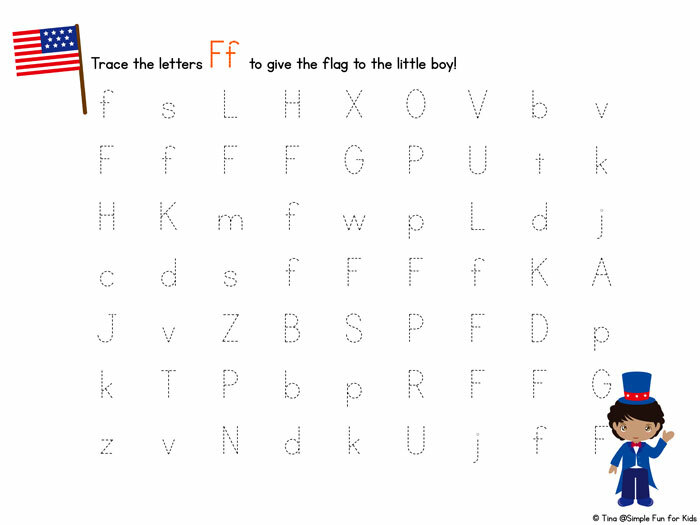 Download your F is for Flag Handwriting Letter Mazes! 4th of July Beginning Sound Clip Cards, 4th of July I Spy Game, and 4th of July Grid Game all use the same one. Make sure to check out these other free Memorial Day unit study resources, too! Looking for even more patriotic activities? Follow my Pinterest board!